Includes Brevet Card Audax Club Parisien medal on completion of the ride within the time limit. Quiet roads and hardly any climbing through Southland. 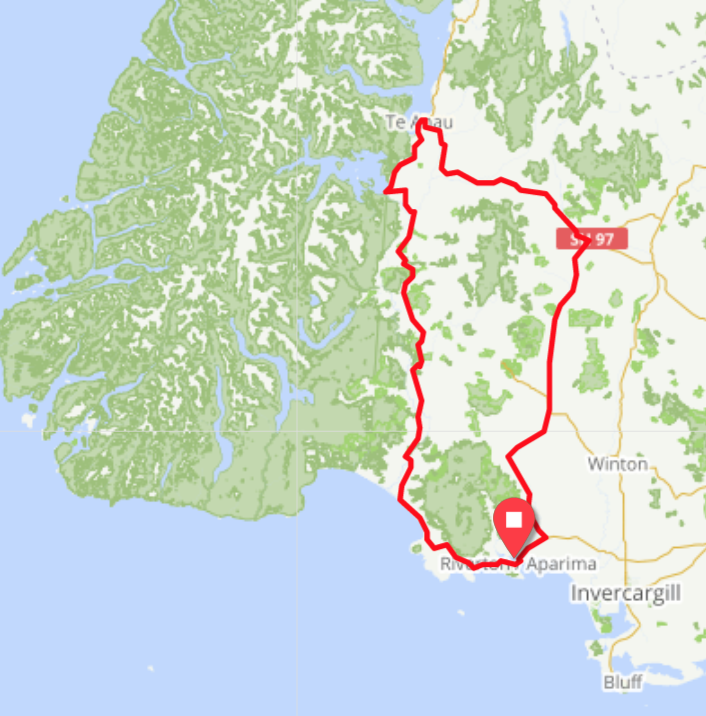 This ride has been carefully timed to avoid tourist buses from Queenstown to Milford for the part of the ride that shares the road they use. According to the internet all the buses will have past before the first rider joins that road. Te Anau is half way and a great place for coffee and a feed. Start and finish in Riverton. You can see the sea where the blue cod live. Fish and chips after the ride are not compulsory, but highly recommended. The ride will make use of Telegram for checkpoints and safety communication. Instructions will be sent to all registered riders.